KOLKATA, 24 AUG: It is perhaps not without reason that Bengalis are said to be proud of a past they have all but forgotten. The centenary of the Rodda Arms Robbery is on Monday, 26 August. But few people in the state&’s administration seem to know that. There is no official programme to commemorate the incident. 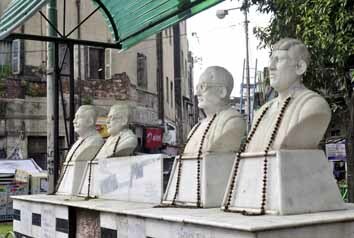 The statues in central Kolkata of the quartet immortally associated with the incident, are unlikely to be garlanded. Most people using Ganesh Chandra Avenue everyday do not even know who the statues at the intersection with Mononga Lane are of. They happen to be of Anukul Chandra Mukherjee, Girindranath Banerjee, Bipin Bihari Ganguly and Haridas Dutta ~ all connected with the Rodda Arms Robbery, described as the "greatest daylight robbery" by The Statesman in its 30 August, 1914 edition. Rodda and Company, a British firm with its godown on Vansittart Row, imported guns and ammunition. Srish Chandra Mitra, an employee of the firm was an active member of a secret revolutionary society. He informed his colleagues that the company would import a major consignment of arms in August 1914. The revolutionaries held a meeting on 24 August in Bowbazar to chalk out a plan to hijack the arms. Naren Bhattacharya (M N Roy) who was present did not support the idea as he thought it impossible and left. The conspiracy was helmed by Anukul Chandra Mukherjee. The date for the heist was fixed on 26 August. On that day around noon, seven bullock carts arrived in the courtyard of Customs House to receive the consignment. Mitra was in charge of taking the consignment to the godown. The seventh cart was driven by Haridas Dutta, a member of Mukti Sangha, dressed as a cart pusher. There were altogether 202 boxes. Of these 192 were loaded on the first six carts while the remaining 10 boxes were put in Dutta’s cart. The convoy left for the godown with Mitra leading the team, and two revolutionaries, Srish Chandra Pal and Khagen Das, posing as employees of the firm, walked beside Dutta’s cart. While the six carts reached the godown, Dutta’s cart was taken to Mononga Lane via Mission Row. 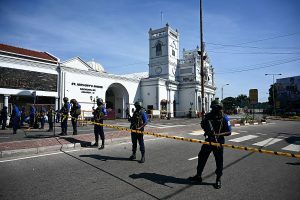 The ten boxes contained 50 Mauser pistols and 46,000 rounds of ammunition. Some of the stolen pistols were used by Baghajatin in the battle of Buribalam. Dutta was arrested in September 1914 and he along with Kalidas Basu, Bhujanga Dhar and Girindranath Banerjee were jailed. By 1922, the police had recovered most of the stolen arms.